I don’t know about you, but for me, the appearance and the look and feel of an app is a huge deciding factor in whether the app in question stays on my device or gets discarded. Be it Android or iOS, the first thing that I look at when browsing for apps is the screenshots, only after which I’d bother to read the description and look up further details. 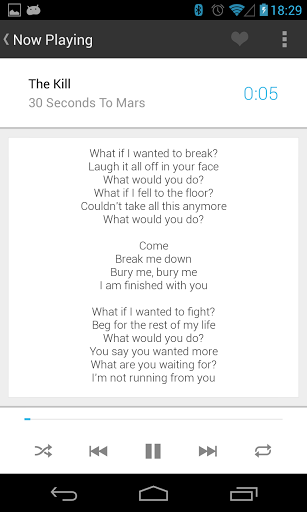 With Android, Google changed a lot of interface elements with Ice Cream Sandwich’s “Holo” theme, introducing a tabbed layout that was both simplistic and attractive. Then, Google Now happened and a card-based UI became the latest and greatest. How good can an app be that combines both these elements with very decent functionality? 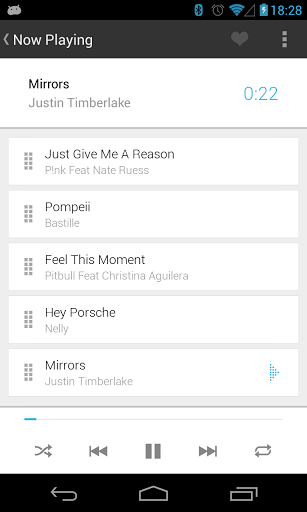 You’ll find out here, in our review of Now Playing music player for Android. In the Google Play Store, media players in general, and music players in particular, are in vast abundance, and with a variety of really popular titles. Why, then, would you want to try a new entrant such as this? My take – just for the UI, if nothing else. The developer claims for it to be the most beautiful music player on the Play Store, and there might be some validity to it. Now Playing sports a card-based UI blended with a Holo interface for tracks, artist and album listings, all presented against a beautiful white theme. It is minimalist, in that it doesn’t contain a lot of features, but doesn’t miss out on any necessary ones, either, and then some more. The ideology behind Now Playing is that you should be able to navigate quickly inside your music collection, instead of having to deal with a cumbersome interface. A built-in search feature is there that can help you locate just about any song, artist or album that may be present in your Android device’s memory. Then, to top it off, the player is compatible with not only your phone’s internal equalizer, but also with any third-party ones that you may have downloaded from the Internet / Play Store. There is lyric search that automatically populates based on the currently-playing track, as well as download for missing metadata information. The only downside to Now Playing (and a major one at that) is that the app comes as just a 5-day trial, after which you need to make a $1.85 purchase to unlock it. 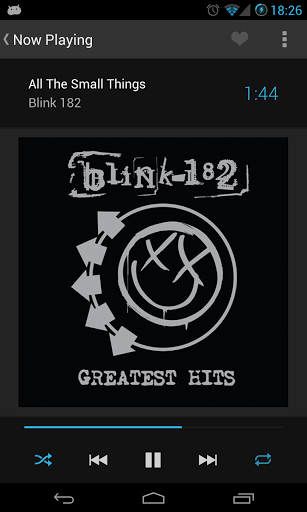 For an app as basic as a music player, this is hardly justified, and might ward off a lot of potential users. I’d have liked it better if there was an ad-supported, free-always version, but then again, it’s the developer’s call.